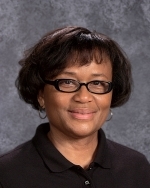 Mrs. Jackson graduated from Calumet College of St. Joseph with an Associate’s degree in Administration Support and her Bachelor’s degree in Management Information Systems. She earned her Masters degree in Information Systems at the University of Phoenix. Mrs. Jackson administrates the Project Lead the Way program and is teaching Intro to Computer Science. She also serves/has served as an Adjunct Faculty member at Vincennes University, teaching dual credit technology classes such as Computer Concepts and Business driven communications and networking. In her free time, Ms. Jackson enjoys seeing the beauty of the countryside by traveling throughout the country with my family, whenever given the opportunity. I enjoy visiting and watching both my sons maturing on their college campuses through their student-athlete activities, theater and most importantly learning a lot through their classroom academics.